The Badberg is the central peak in the small volcanic area known as "Kaiserstuhl", a popular winegrowing region in south-western Germany. Located in the wide, flat upper Rhine valley which is sheltered by the Vosges mountain range to the west and the Black Forest to the east, this area is characterized by an almost mediterranean climate. The south-facing slopes in particular are covered in dry grassland which are home to a number of rare and endangered plant and insect species. 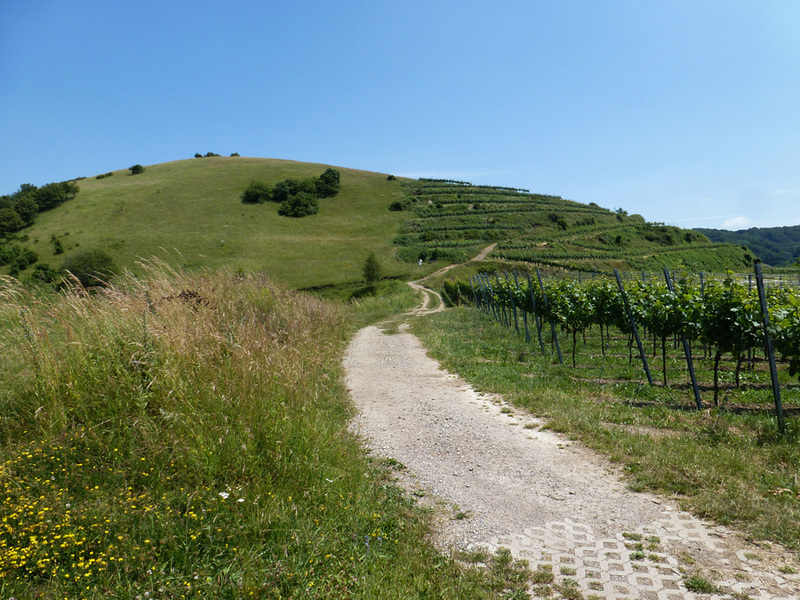 Footpath leading up to the summit of the Badberg from the vinyards to the west. 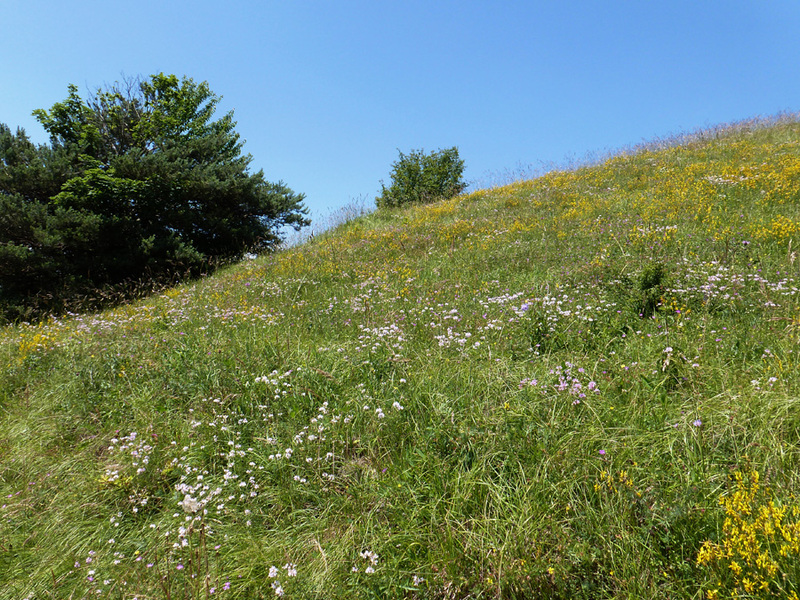 Flowering grassland on the southern slope in June. The otherwise very rare Glaucopsyche alexis can still be found here in some numbers.